As a kid, I loved to read so much that my dad says I’d literally read condiment labels for fun at dinner. If he and my mom would’ve let me bring my latest copy of Nancy Drew to the table, maybe I wouldn’t have been such a weirdo. Anyway, today I love reading just as much. So when I do get time to sit down with an eBook, article or actual book, I want it to be good. I’m assuming you’re the same – maybe not on the whole perusing ketchup ingredients ordeal, but on not wanting to waste time on a bad read. And, at least when it comes to LevelEleven content, I’m here to help. I’ve put together a list that counts down our top ten most popular resources for sales leaders, so you’ll be taken right to the good stuff. Get a quick way to organize the 16 steps that your next sales contest needs to include and 4 best practices to keep in mind throughout those steps. Get a free copy here. We at LevelEleven hear five questions on sales gamification all the time. We wrote this eBook to answer them. This gamification overview shares the 4 phases of sales CRM adoption and the 9 behaviors you can motivate using sales gamification. Do sales leaderboards demotivate those not at the top? 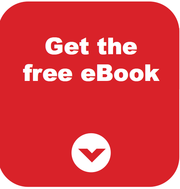 Give this eBook a quick read to find out, and learn what you can do about it. New to Salesforce? Check out this free eBook, filled with best practices from the Salesforce team and other Salesforce experts. Download this “Sales Contest Toolkit” for everything you need – from best practices to email templates – to run impactful contests. Use this free 1-page template to set your quarterly sales goals, or to make sure those you’ve already set make sense. The first eBook in “The Sales Leaderboard Series,” this read discusses the benefits that distinguish popular leaderboard mediums and shares 3 ways to maximize the impact of any type of leaderboard. Get several smart ways to brainstorm incentive ideas, 25 examples of inexpensive incentives and the top 5 most exciting incentive examples we’ve seen used. …and it’s only appropriate for you to push play before going into #1. Because nobody can count it down like the Griswolds. Get 10 proven sales contest ideas. Learn everything from contest names to point structures & even incentive suggestions, so all you’ll have to do is get the contests going. Don’t forget to check out our Sales Library, too, where you can sort our content according to your interests! Check out these top 10 reads for sales leaders, including popular content on sales motivation and sales goals.